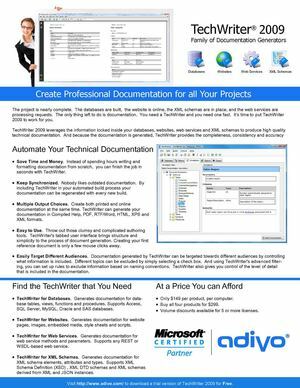 Product brochure for the TechWriter 2009 family of documentation generators. Documents databases, web services, XML and more. See http://www.adivo.com/ for more information.